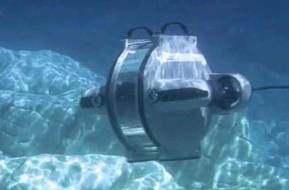 This spring and summer saw buzzing activity at water depth of 1300 meters on the Aasta Hansteen field. Four vessels have carried out successful field operations for nearly 200 days. The waters on the Aasta Hansteen field are deep, very deep, as much as 1300 meters to be precise, but for the deep-sea fish there was much to watch on the field this year. Pipelines, risers and spoolers have been installed and hooked up to subsea templates and umbilicals that were installed last year. The pipelines have been pressure-tested and prepared for production, and mooring lines have been carefully installed on the seabed – everything has to be ready before the platform arrives in 2018. The Aasta Hansteen field is located in one of the harshest environments along the Norwegian coast, even if the weather is better in the summertime in this area too. The installation season is shorter compared to other places along the coast, and the weather windows are shorter and more unpredictable. In addition, the field lies farther from shore. "It is definitely more complicated to plan subsea, umbilical, riser & flowlines (SURF) operations here than in the North Sea,” says Helge Hagen, project manager for the Aasta Hansteen SURF project. It is also far down to the seabed, and the vessels have to carry heavy loads of pipelines and umbilicals designed for ocean depths of 1300 meters. “We fully depend on good suppliers and Subsea 7 has done a great job in this year’s campaign,” says Per Rusås, project director for Aasta Hansteen. He praises the SURF team for properly planning and completing this year’s marine season and avoiding any serious incidents. “It takes knowledge, experience and hard work to reduce risk in operations like these. The result is a perfect illustration of how to conduct an offshore installation campaign, and demonstrates Statoil’s ability to carry out complex deep-water operations,” says Rusås. 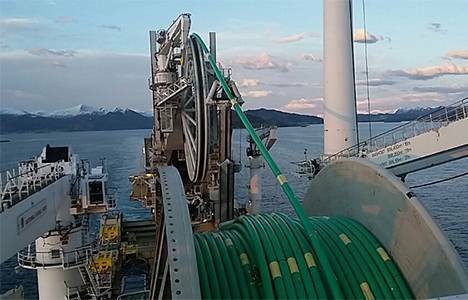 This year’s campaign started at full speed on April 27, when the Seven Oceans vessel mobilized at Subsea 7’s base at the island of Vigra in West Norway by spooling pipelines and risers on board the vessel. They were installed on the field during a couple of months. “Seven Oceans had a demanding scope, yet we managed to halve the time spent on waiting on weather from an estimated 20 days to 10 days,” says Kjersti Kværnæs, pipeline and marine manager. That was not only due to good weather luck! “We split the most weather-sensitive operations into sub-operations and consequently we did not have to wait for long weather windows to carry out the operations,” she explains. This is the first time Statoil uses BuBi pipes, which consist of liner pipes and steel catenary risers for corrosion protection. At such depths it is namely possible to use rigid risers, which also cost less than flexible risers. During two weeks in June the spoolers were also installed. Normand Oceanic did the job perfectly and ahead of schedule. “During this operation we did not have to wait on weather at all, and in mid-July the job was done,” says Kværnæs. 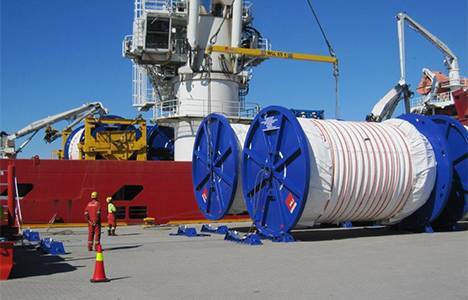 The spools were manufactured locally by Aker Sandnessjøen, who also manufactured the subsea templates. 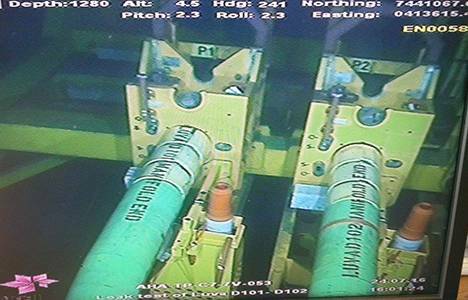 Last year the subsea templates and umbilicals were installed on the seabed. After the pipelines, spoolers and risers had been placed on the seabed, it was Seven Viking’s turn. This vessel carried out all the hook-up jobs before flushing and pressure-testing all pipes. Finally, the vessel filled the pipes with nitrogen to make them ready for production when the platform arrives. The vessel also connected Polarled, the 482-kilometer-long pipeline from the Aasta Hansteen field to Nyhamna, to the riser that will send processed gas from Aasta Hansteen, marking the first physical contact between the two mega-projects. “When the platform arrives the risers that are currently in wet storage on the seabed will be pulled up by the vessel and connected to the platform,” explains Hagen. 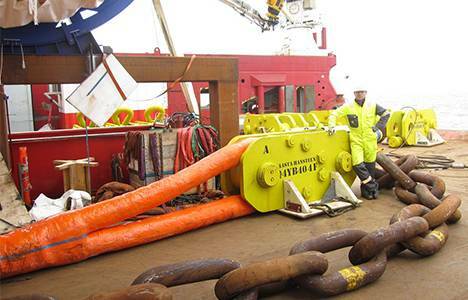 Safely stored on the seabed are also the mooring lines that will keep the huge platform in place. A total of 17 mooring lines, each measuring 2500 meters, will be installed in a circle around the platform. On the seabed they are connected to the suction anchors from Momek that were installed last year. 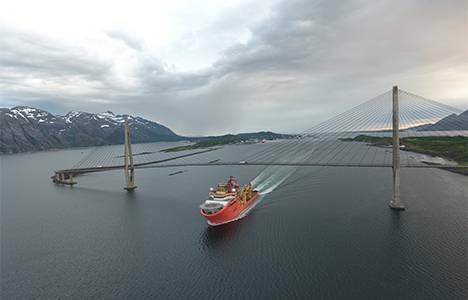 The fibre ropes have been installed by Skandi Skansen. The Normand Oceanic, Seven Viking and Skandi Skansen have all been in shuttle traffic between the Asta Hansteen field and Sandnessjøen this summer, totalling 17 port of calls. When large construction vessels like this arrive, they lead to buzzing activity, on the base, at Aker’s premises and in the local community in general – involving a range of services from food supply to transportation. “The Aasta Hansteen SURF project has led to major spin-offs in North Norway, for example manufacturing of subsea templates, spooles and suction anchors as well as coating of pipes for the Polarled pipeline and also base services. Drilling on the field will start at the turn of the year 2017/2018, involving helicopter traffic from Brønnøysund and base services in Sandnessjøen. In the operations phase Aasta Hansteen will be even more visible in the north,” says Torolf Christensen, project director for Aasta Hansteen. The field operations this summer have involved close to 200 vessel days. The result can only be seen by the deep-sea fish.